For any questions about multiple orders or international shipping costs please contact us directly at TarotofEmpowerment@gmail.com. Thank you. 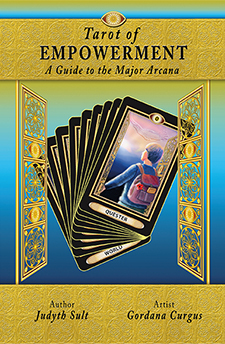 We are excited to offer our original Major Arcana deck, co-created by author Judyth Sult and artist Gordana Curgus. • Booklet, Tarot of Empowerment, A Guide to the Major Arcana with interpretations for each card. Tarot of Empowerment, A Guide to the Major Arcana, is a book about using Tarot as an intentional tool to gain personal power. These fresh interpretations of the Major Arcana and inspired images have redefined traditional Tarot as an empowerment tool available to everyone. This book about the Major Arcana is an important addition to any collection. Experienced Tarot readers will discover an intentional tool of empowerment, while students new to Tarot will discover accessible images and interpretations devoid of hidden meanings. Book is 77 pages. 5″ x 8″ – 78 pages. 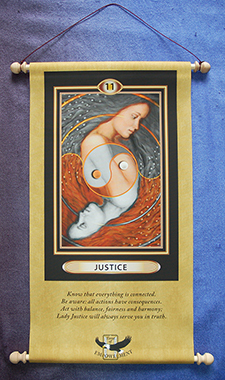 The Major Arcana Tarot workbook will help you to learn to read to empower others. For many years Judyth has been asked to teach how to read like she does. This workbook reveals her secrets in a way that helps the reader to develop her or his own style. With specific exercises for each card, learn how to ask empowering questions to create your own reading, and better understand the relationship between Tarot and Numerology. 8.5″ x 11″ – 92 pages. 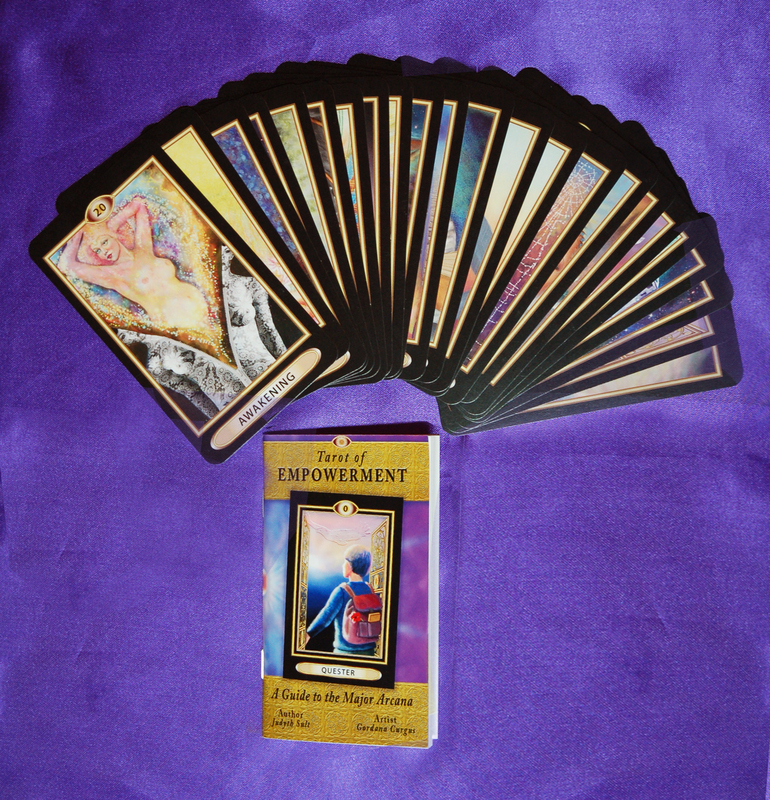 Only 250 Tarot of Empowerment, Limited Collector Edition numbered sets will ever be made. Each Collector Set car has been assigned a number of the 250 sets.The book, Tarot of Empowerment, A Guide to the Major Arcana, has an in-depth description of the meaning of the cards and how each one is a tool to take charge of your life and make decisions from your highest good. 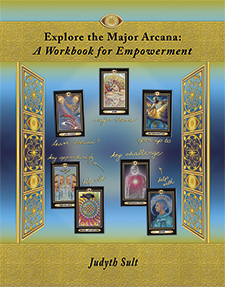 The book includes how to do empowered readings and new card layouts. The gold pouch is large enough to easily hold the deck and reading cloth so you are always prepared to do readings. The gold metal Empowerment Treasure box is large enough to hold letters, notes photos and evidence of your dreams. Our scroll style wall hanging of your favorite card will enhance any room, while it reminds you of your favorite card. No frame or matting is needed, it is ready to display. Each wall hanging is printed with archival quality printing on exquisite golden cloth and hangs from a wooden dowel with a beautiful cord. A second wooden dowel weights the bottom, with carved wooden end caps on all 4 tips. Fabric measures 10.5″ x 22″.